we'll also learn how to make a simple web application using servlet. server. 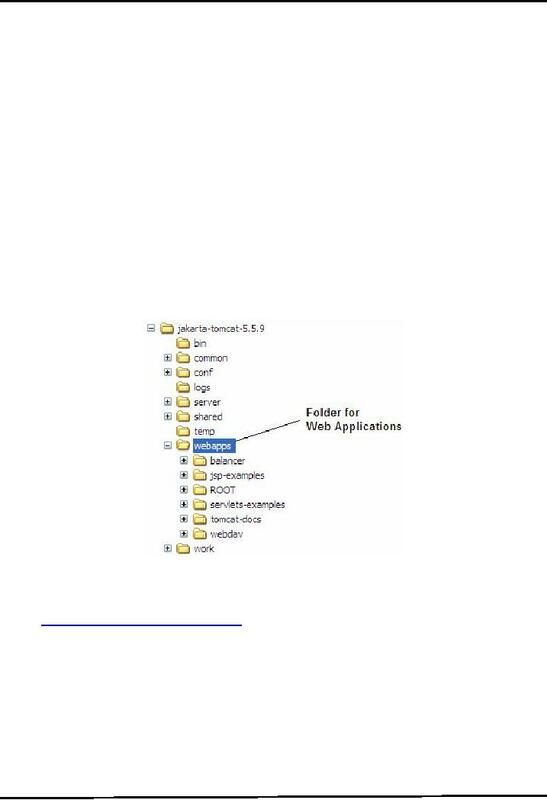 Each application is deployed in a separate folder often referred as "context". 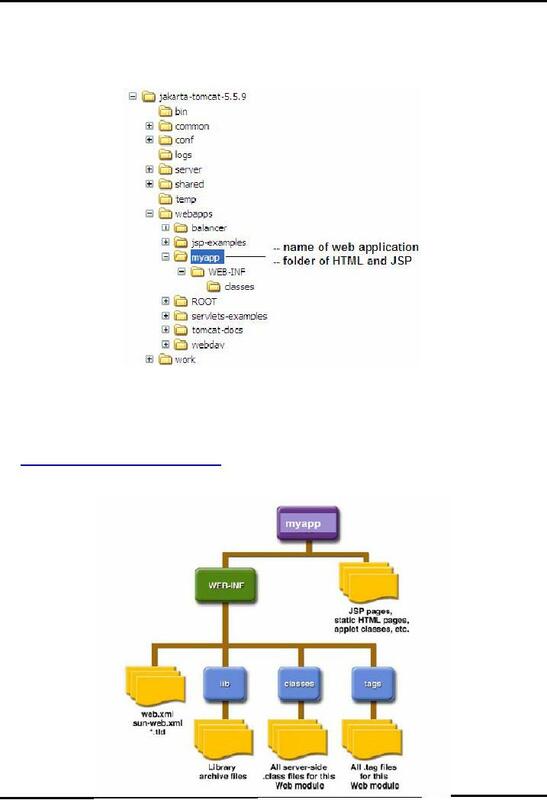 To make a new application e.g myapp in tomcat you need a specific folder hierarchy. into it and save it in main application directory i.e. -A more detailed view of the Tomcat standard directory structure is given below. -Here you can see some other folders like lib& tags under the WEB-INF. that can help generating .pdf files. -Similarly tags folder is helpful for building custom tags or for using .tagfiles. can recognize it. For JSP and html files you don't have to restart the server. -Servlet related classes are included in two main packages javax.servletand javax.servlet.http. ServeltResponse and HttpServletResponse are also helpful in writing a servlet. 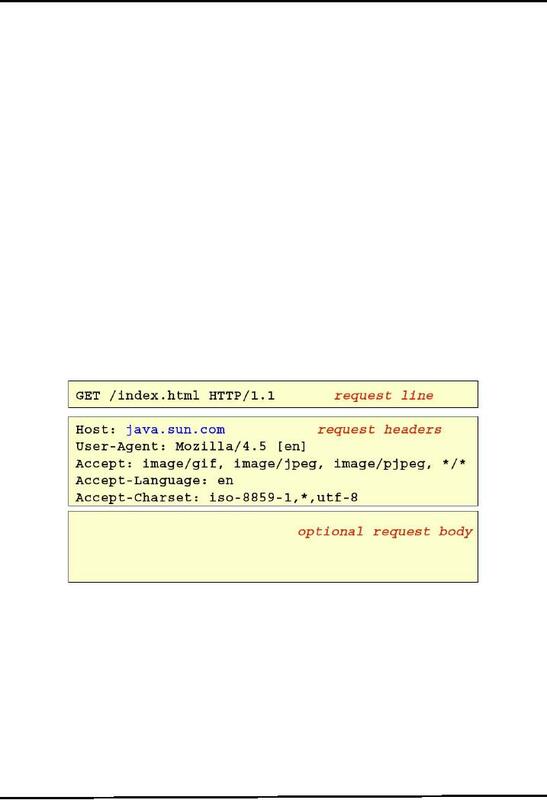 HTTP supports different types of request to be sent over to server. Each request has some specific purpose. can refer to RFC of HTTP for further details. 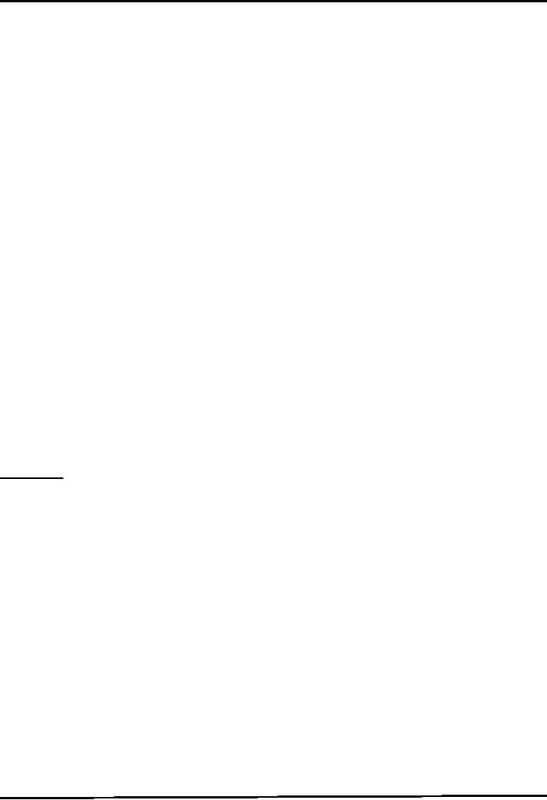 -GET: Requests a page from the server. This is the normal request used when browsing web pages. -POST: This request is used to pass information to the server. Its most common use is with HTML forms. -PUT: Used to put a new web page on a server. -DELETE: Used to delete a web page from the server. -OPTIONS: Intended for use with the web server, listing the supported options. 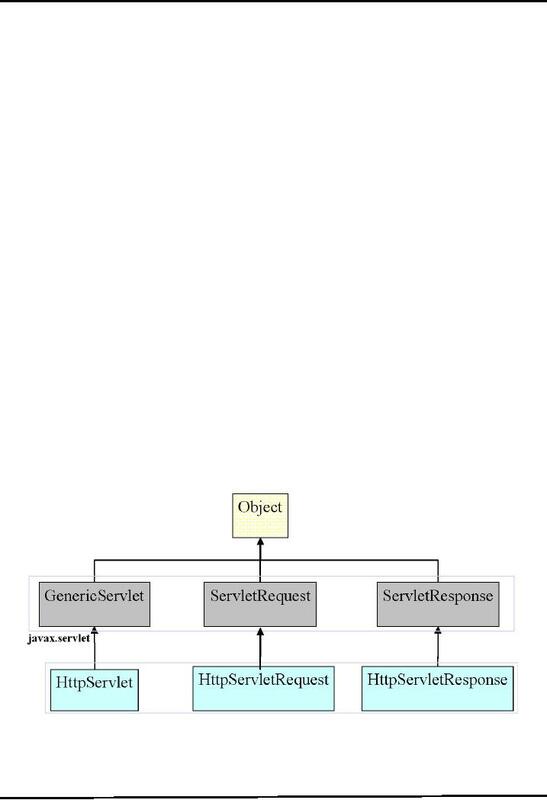 Some details on GET and POST HTTP request types are given below. -Attribute-Value pair is attached with requested URL after `?'. -Override doPost() method of HttpServlet class to handle POST type requests. writing a servlet that will produce "Hello World"
your desired method. For example doGet() or doPost(). 4. Place the class file of HelloWorldServlet in the classes folder of your web application (i.e. myapp). content. To learn more about XML visit http://ww.w3schools.com. a servlet), <servlet-class>tag is used. Note: It is important to note here that you can specify any name for a servlet inside <servlet-name> tag. you by your university while you have actually different name (like <servlet-class>). servlet. <servlet-mapping> tag is used for this purpose. URL.  The forward slash indicates the root of your application. Save this web.xml file by placing double quotes("web.xml") around it as you did to save .java files. -Compile HelloWorldServlet.java using javac command. any other commercial purpose without the consent of author.